Read about the latest strategies and provisions keeping roads and runways safe for all. 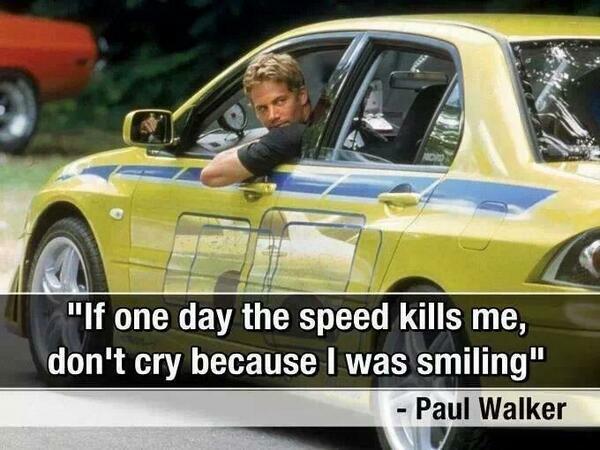 There is no doubt the way Paul Walker and his friend Roger Rodas died is a tragic story. I think we all have tested the limits of our cars to some extent within that first year of getting our license, and it’s hard for me to believe similar crashes like this haven’t happened more often in my small hometown. Whether you personally drove the car, or you were a silent occupant too nervous to tell your friend to slow down or stop racing another car due to social pressure, we have all seen it. Incredibly stupid and reckless, I’ve had friends actually hit traffic drums while trying to get as close as possible without hitting them, simply for the amusement of those in the car. I’ve had friends race each other, and all other typical machismo type behavior that happens as a male at 16 and a half years old in a small town with not much to do (although I am sure it happens in any size town or city). I just saw a video from back in 2011 where Walker said he has gone 185 mph on a highway before as his fastest speed. No he wasn’t the driver in this accident but that’s beside the point. What I’m trying to say is this could have been any of us. And it’s time we figure out how to get through to the younger generation that is just now getting their license that pulling these sorts of stunts is extremely dangerous to themselves and to others, and it’s not the ‘cool thing to do’. This may mean talking about it more in our traffic safety courses. This may mean harsher punishments for reckless driving. What do you think it should mean? What’s our best bet against fighting this? This entry was posted on Thursday, December 5th, 2013 at 7:31 am	and is filed under Traffic Safety, Transportation Safety. You can follow any responses to this entry through the RSS 2.0 feed. You can skip to the end and leave a response. Pinging is currently not allowed.